Wow! 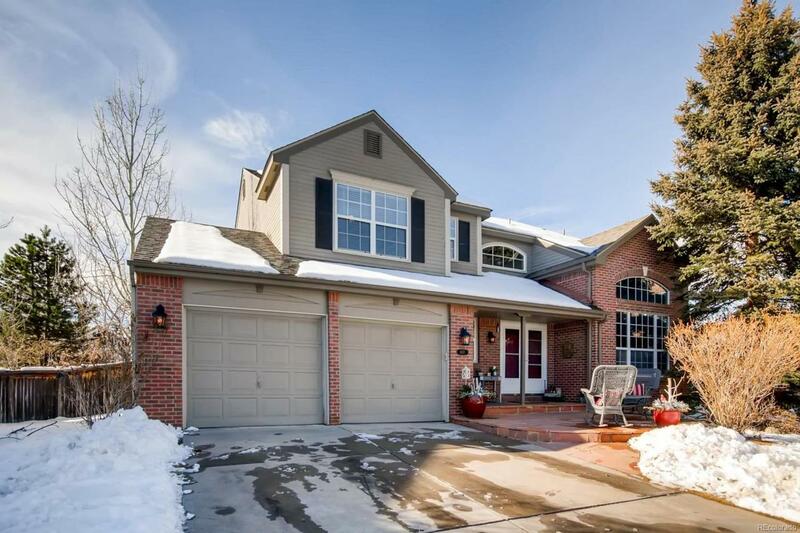 Check out this gorgeous 5 bedroom - 3 bath home located at the end of a private cul de sac in Highlands Ranch. Step inside to find a beautiful vaulted ceiling entry with hardwood floors leading to the spacious family room with gas fireplace and charming shiplap walls. The kitchen features upgraded appliances, granite countertops, island and spacious pantry. The dining and family room is light and bright featuring brilliant slate floors. Walkout onto the cedar deck to see a private oversized backyard and hear the stunning waterfall and koi pond, flagstone patio with built in firepit. Master bedroom is large with hardwood floors and walk in closet, master bath features heated tile floors and copper sinks. The basement has one bedroom and bath, game room and wet bar, and theater style room. This home also features front flagstone patio with small water feature and large trees throughout the property.Come Visit! This home will not disappoint! Offered by Keller Williams Executives.